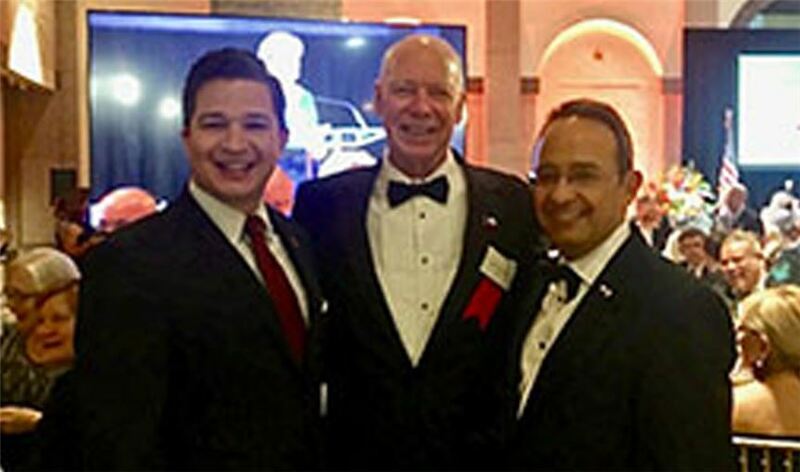 Pictured above from left to right: Luis Rodriguez, Greater Austin Hispanic Chamber of Commerce CEO; Robert Barnes, IBC Bank-Austin CEO & President; Carlos Gonzalez Gutiérrez, Consulate General of Mexico. The 14th annual Bullock Museum Texas Independence Day Dinner celebrates the state's rich cultural heritage. Nearly 500 business, political and community leaders from around the state attend the event each year. IBC Bank-Austin is a proud benefactor of this community event. Proceeds from the event helped fund educational programs in the Austin community.